Meet Sean. When Sean graduated in 2013 with a degree in Speech Communications, he didn’t anticipate how difficult it would be to find a job. Over time, he became increasingly shy. Sean lived with his mom and without his job, their living situation deteriorated. They washed clothes by hand because they couldn’t afford to repair their washer and dryer. The brakes on Sean’s van wore out, leaving him without transportation. It seemed like things were quickly spinning out of control. Sean is a computer expert, but he didn’t present himself well on job applications, limiting his potential to move forward with job prospects. Diabetes also limited his employment opportunities to desk jobs. Fortunately, Sean connected with Goodwill. Goodwill’s GoodWORKS Career Center team coached him on job search techniques, application completion, and interview skills. 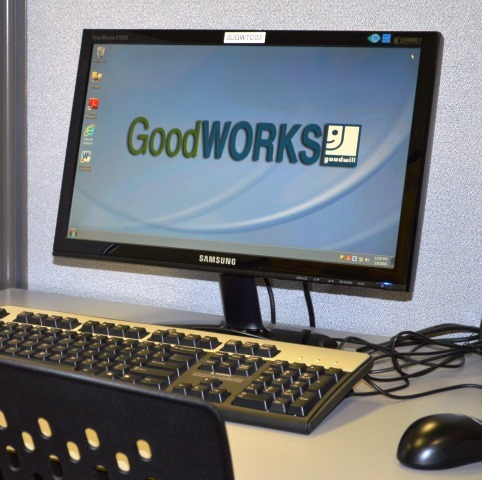 Together Sean and his Goodwill Career Navigator attended job fairs, crafted his resume, and built his confidence. His Career Navigator directed Sean in choosing appropriate interview clothes, and soon Sean landed a job at Jackson Hewitt preparing taxes. He is thrilled! The job provides Sean with a new sense of self-worth and opportunities for growth. He and his mom were finally able to repair their washer and dryer and meet other financial needs, improving their relationship. Sean can now look forward to increasing degrees of success. Clarence Brown got just the gift he wanted in time for Christmas…a full time job.